As this is being written, the premier of Greenland, Kim Kielsen, is taking his time negotiating with potential partners over the terms for his next coalition government. 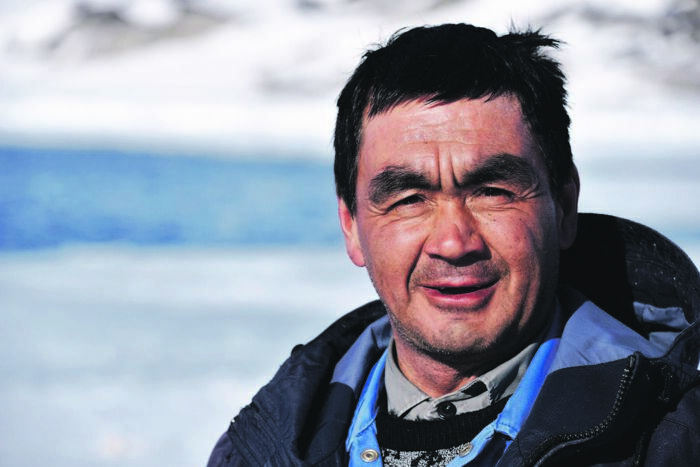 Kielsen won the elections in Greenland on April 24, not with any impressive margin, but with sufficient votes for his Siumut party and for parties that he is on speaking terms with that finding a majority among the 31 members of Inatsisartut, Greenland’s parliament, should not be uncomfortably difficult. I was in Greenland on election day, trotting around in snowy Nuuk where the political parties, their candidates and supporters waited for the electoral results in the community hall, at Daddy’s nightclub, in sports facilities and other locales until far into the small hours of the next morning; some celebrating wins, some accepting losses, and all watching the crucial digits on the TV screen as results poured in from Greenland’s many towns and smaller communities. Big deal, you think, this sounds just like any other election? But no, not by a far shot. In one sense you are right, of course, these elections were very, very ordinary, but this is exactly why the whole process was so much out of the ordinary and why suggesting otherwise would be misreading Greenland very badly. These seemingly ordinary proceedings — votes cast, results counted, negotiations to follow — represent a fundamentally important story of modern Arctic ingenuity, creativity, innovation and social cohesion that we should be careful to take note of. “Sometimes we forget how impressive it is that everything works here,” she said, embracing with a gesture not only Nuuk, but the entire Greenlandic nation. Understandably tired after 12 hours of overseeing the local electoral proceedings she still found time to marvel at the underlying wonder of it all. We were just two minutes past the last voter in Nuuk and a bunch of her employees were already busy counting votes (under due supervision from appointed controllers), others were dissembling voting booths, cleaning, unscrewing noticeboards and generally readying the hall for more sports in the morning. Chemnitz reminded me how rigorously controlled voting, organized according to the most detailed rulebooks on proper, western, democratic elections, had taken place not only here in urban Nuuk but also at 71 other locations in the vastness of Greenland, the world’s largest island. In the end this became my take-home-lesson from the Greenland elections 2018, delivered to me on election night by the exhausted but happy mayor of Nuuk. Democracy worked — and will continue to work in Greenland. Not only through the strong dedication to its principles by the 56,000 citizens of this unique nation (71.9 percent of 40,769 eligible voters took part), but very much also through the efforts of ordinary people of all walks of life who make up the superbly complex web of logistical solutions in this nation where no two towns are connected by road or rail, where weather patterns are sometimes difficult, where money is often scarce but where human ingenuity and grit somehow continue to rule and flourish. Following Arctic affairs I often come across terms like “isolation”, “remote”, “wilderness”, “uninhabited”, “traditional”, “icy” and other descriptions. I probably inadvertently use some of these myself; born, raised and still living as I am in very urbanite — and anything but Arctic — conditions in Denmark. But I am trying to understand that we all live in the center of our personal lives and that nowhere is essentially remote — unless you are not there yourself and unable to imagine that you were. Of course, the Arctic sometimes requires different solutions to practical issues than Toronto or Copenhagen and vice versa. But it has long been time to dismantle the more widespread misconceptions of the Arctic as “remote” and replace them with more appropriate imagery. The electoral process in Greenland worked without a hitch (as least as far as we know) not only in Nuuk, but in villages with less than 50 people hundreds of kilometers away on the island’s East Coast on the other side of the vast ice sheet. Everything worked also in Siorapaluk, the world’s most northern settlement — north even of Thule Air Base — just as it did in tiny Aappilattoq, 2,500 kilometers to the south. In Savissivik, a town of less than 60 people in the very far north, things almost went bad: As ballots for all voters in Greenland’s northern districts were flown from Nuuk to Ilulissat, the administrative seat of northern Greenland, weather conditions deteriorated. Only through extreme vigilance by those who followed the distribution of ballots electronically did ballots reach Savissivik in time. Firstly, the were re-routed and flown from Ilulissat to Pittufik/Thule Air Base. From here, Air Greenland’s station leader, Peter Lilie, called a hunter in Savissivik, Markus Hansen, who immediately set out on a 150-kilometer journey on his dogsled. Lilie got in his 4X4 and headed towards Camp Tuto, a disbanded military research site at the edge of Thule Air Base. The two met there, ballots for Savissivik got on Hansen’s sled and polling began on time in Savissivik. 31 members of the community cast their vote. In total, 43,000 ballots were distributed in Greenland by planes, helicopters, ships, speedboats, automobiles, snowmobiles and dogsleds. Meanwhile, Greenland’s publicly owned telecommunications company, Tele-Post, got ready for the sensitive task of collecting electronically the results from all 72 election centers on a coastline of 2,500 mostly uninhabited kilometers — a process executed so seamlessly that I never thought of it until much later. Watching TV in Nuuk, we had results popping up from all corners of Greenland, which were then instantly integrated, calculated and presented as rapidly and smoothly on-screen as if we were in Toronto, Stockholm or Washington. And so it went, quite ordinarily, until at the very end of a long election night we all knew who won and who lost. Around midnight the bizarre happened: Kim Kielsen, who had just had a congratulatory call from the main runner up, Sara Olsvig from Inuit Ataqatigiit, Greenland’s second largest party, made an appearance at Daddy’s, Nuuk’s main nightclub that his party, Siumut, had taken over for the occasion. Everyone expected Kielsen to now make his victory speech, but at this very moment the owner of the club, himself a candidate of Kim Kielsen’s party, announced that the club was closing, since local law prohibited it from remaining open any longer. Kielsen never made any speech. Not this, but every other important detail of the electoral process was immediately available to all citizens in Greenland on live radio or television. Voting, counting, reporting — it all worked flawlessly; even a recount of votes cast in Sisimiut, Greenland’s second largest city, that was made necessary by a technical fault in the middle of the night. And right now, as I write this, the Premier of Greenland, Kim Kielsen, is continuing to carefully ponder his next move. As I finished writing, I just checked again and there are still no news. Coffee is poured. Negotiations drag on. It is all so very ordinary. Which is what makes it extraordinary. Risfællesskabet – skal Kina bygge Grønlands lufthavne? Anne-Marie Brady kommer næppe til at fylde meget i valgkampen frem mod valget i Grønland den 24. april. Hendes historie er ellers uhyre relevant. I december 2017 brød ukendte gerningsmænd ind på hendes kontor på University of Canterbury i Christchurch og stjal hendes harddiske og flere USB-stik. I februar i år brød de ind i hendes private hjem og stjal tre laptops og to telefoner. Indbruddene efterforskes nu af New Zealands politi og efterretningsvæsen. Selv mener Anne-Marie Brady, at gerningsmændene må have været kinesiske agenter eller på anden vis ansporet af Kina: “Nogen forsøger tydeligvis at sende et signal til mig — formentlig for at intimidere mig. Jeg havde kontanter liggende frit fremme, men de var uberørte, ligesom mine smykker. Folk, jeg har været i kontakt med i Kina, er blevet kaldt ind til afhøring hos det kinesiske Sikkerhedsministerium,” siger hun til pressen i New Zealand. Brady udgav i 2017 bogen China As A Polar Great Nation, der med mængder af detaljer beskriver, hvordan Kinas hastige indtog i polarområderne — herunder Grønland — indgår centralt i Kinas plan om at blive en af klodens førende nationer teknologisk, innovationsmæssigt og økonomisk inden 2030 og en af verdens førende nationer på alle fronter inden 2050. Et af midlerne er præsident Xi Jinpings store Belt-and-Road initiativ, på dansk: Silkevejsprojektet, hvor Kina med milliardinvesteringer i infrastruktur i udlandet sikrer sig mere handel, adgang til mineraler, olie og gas og afsætning for kinesiske produkter, standarder og teknologi, mens man høster ny viden, erfaring og kontante overskud. Fra Grønland lød det i sidste uge, at et kinesisk entreprenørselskab, det statskontrollerede China Communications Construction Company Ltd., CCCC, nu er blandt de seks selskaber, der er prækvalificeret af Kalaallit Airports, det grønlandske landsstyres lufthavns-byggeselskab. CCCC, der blandt Kinas største entreprenørkoncerner, kan derfor nu byde på Grønlands aktuelle lufthavnsprojekt til cirka tre mia. kroner — det hidtil dyreste infrastrukturprojekt i Grønlands historie. Projektet gælder udvidelse af lufthavnene i Nuuk og Ilulissat og en ny i Sydgrønland. Brady, der også er redaktør af det videnskabelige tidsskrift Polar Journal, har efter indbruddene i New Zealand stort set ikke givet interview, men hun indvilger i at besvare et par skriftlige spørgsmål fra Weekendavisen om Kina og Grønland: “Den grønlandske regering bør nu undersøge den eksisterende lovgivning for at finde ud af, om den er tilstrækkelig, når det gælder om at beskytte det grønlandske politiske systems integritet. Regeringen i Grønland bør investere i at udvikle en dybere viden om Kina i Grønlands offentlige sektor, og så bør den proaktivt undersøge i hvilket omfang, det kinesiske kommunistparti er engageret i at få politisk indflydelse i Grønland,” skriver hun. Kort før indbruddene i New Zealand udgav hun rapporten Magic Weapons – China’s political influence activities under Xi Jinping, en minutiøs kortlægning af Kinas infiltrering i det politiske liv i New Zealand. Hun afslørede bl.a., hvordan et parlamentsmedlem, født i Kina, glemte at opgive sin fortid i det kinesiske efterretningsvæsens tjeneste, da han søgte ophold i New Zealand. Hun beskrev i detaljer, hvordan den kinesiske diaspora i New Zealand med opbakning fra Kina systematisk donerer penge til de politiske partier, stiller op og bliver valgt, og hvordan tidligere toppolitikere, herunder den fhv. premierminister Dame Jenny Shipley har fået lukrative poster i de lokale filialer af kinesiske banker. En anden fhv. premierminister, John Key, gør nu forretninger i Kina — og nægter at oplyse, hvem det var, der i 2017 købte en stor ejendom af ham til langt over markedspris. Ifølge Brady anser Kina de polare områder som en ny frontlinje på linje med det ydre rum og havbunden under de store oceaner; åbne områder, hvor et kapløb om magten og råstofferne er i fuld sving. Polarforskningen er et vigtigt redskab. Kina har på få år bygget så mange og store forskningsstationer på Antarktis, at Kina nu er ved at overhale USA og Rusland på isen. I 2048 skal et forbud mod minedrift på Antarktis til revision, og Kina sigter ifølge Brady målrettet efter mineralerne — og det samme i Arktis. Analysen passer som skallen på et æg til Kinas indtog i Grønland. Også der handler det efter alt at dømme om at sikre Kina adgang til jern, zink, bly, uran, sjældne jordarter m.v., og om at skaffe Kina politisk indflydelse i Arktis. Kinas stærke fokus på forskningen i Grønland skal ifølge Brady fremme begge formål — foruden forskningen selv. Kina og Grønland indgik i 2013 en aftale om udforskning af mineralerne i Grønland. China Geological Survey har været igang siden, og Kinas centrale organ for polarområderne, State Oceanic Administration, indgik i maj 2016 en bredere aftale med Grønland om forskning i geologi, havis, glaciologi, atmosfærefysik, miljø, klima, udveksling af forskere mv. I 2017 fik vi et første glimt af planen for en forskningsstation, som det statslige Polar Research Institute of China gerne vil bygge i Grønland. Planen lyder på boliger og laboratorier på ialt 2000 kvm; den største forskningsstation i Grønland nogensinde. Den senest opførte danske station, Århus Universitets Villum Research Station i Nordøstgrønland, der blev åbnet i 2016 med dronningens assistance, er på bare 600 kvm — inklusive garagen. I maj 2017 påkaldte en gruppe kinesiske turister, der skulle på krydstogt i Grønland, sig særlig interesse. Tæt på Grønlands internationale lufthavn i Kangerlussuaq mødtes en del af kineserne med forskere fra Grønlands Naturinstitut. Man diskuterede et muligt fælles projekt med opsættelse af en satellitmodtager til klimaforskning. Billeder med Kinas røde flag blev taget, og i Kina blev mødet fremstillet som endnu et Kina-skridt i Arktis. Dilemmaet var, at en satellitmodtager muligvis også vil kunne bistå Kinas navigationssystem Beidou — et sidestykke til det vestlige GPS-system af potentiel militær signifikans. Som Brady skrev til det grønlandske medie sermitsiaq.ag: “Skulle USA affyre missiler mod Kina, vil de flyve over Arktis, og det samme vil missiler, Kina affyrede mod USA. Her er der brug for et velfungerende polart satellitnetværk, og for at få det, skal de have arktiske og antarktiske satellitmodtagerstationer”. Den kinesiskkyndige blogger, Miguel Martin, bosat i Polen, hævder, at en af “turisterne” i Kangerlussuaq hørte til veteranerne bag Beidou-systemet, en anden havde forbindelse til det kinesiske forsvar. Journalister i Grønland afdækkede, at Naalakkersuisut, det grønlandske landsstyre, ikke var informeret. Brady minder om Danmarks globale forpligtelser: “Danmark har skrevet under på Wassenaar-aftalen, som skal forebygge eksport at sensitive varer eller teknologier. Grønland bør være omhyggelig med ikke at indgå i eksport af know-how, der både har civil og militær betydning, til et land som Kina, der ikke har underskrevet Wassenaar-aftalen,” skriver hun til Weekendavisen. Grønlands mineraler Kina interesse i Grønlands mineraler har længe været kontant. Det statsejede China Nonferrous Metal Mining Group er i dag en del af et mineprojekt ved Citronen Fjord i Nordgrønland, hvor det australske selskab Ironbark har fået grønt lys af Naalakkersuisut, det grønlandske landsstyre, til udvinding af zink og jernmalm. China Nonferrous’ vicepræsident for projekter i udlandet Qin Junman var på besøg i 2017. Minen bliver i givet fald den nordligste på kloden, og Kinas engagement styrker nu Ironbarks jagt på de fornødne investorer. I Sydgrønland har kinesiske Shenge Resources, der også er forbundet med den kinesiske stat, købt sig ind i potentiel udvinding af uran og såkaldte sjældne jordarter i Kvanefjeldet ved Narsaq. Shenge har siden 2016 ejet 12 procent af Greenland Mining and Energy (GME), der håber at udvinde en af verdens største forekomster af sjældne jordarter i Kvanefjeldet. Projektet er kontroversielt. Mineraler fra de sjældne jordarter hører til dem, FE kalder strategiske; de indgår i både moderne industri og våbenproduktion, og Kina kontrollerer i forvejen cirka 90 procent af verdensmarkedet. Udsigterne til uranudvinding har splittet Grønland i to og projektet har kostet dybe uenigheder med Danmark. Ved Isua i det centrale Grønland ejer det kinesiske General Nice med base i Hong Kong licensen til en berømt forekomst af jernmalm. I 2014 forlød det, at godt 2000 kinesiske minearbejderes snart ville ankomme — det var dengang en forsker ved København Universitet spøgefuldt foreslog, at rigsfællesskabet kunne staves uden “g” — men projektet ligger i dag i dvale, formentlig på grund af en overflod af stål på verdensmarkedet. Grønland i Kina Grønlands politiske ledere har som New Zealands længe gjort sig anstrengelser for at tiltrække kinesiske investeringer, forskere, turister og studerende. Kina er en vigtig aftager af Grønlands fisk og rejer; Grønlands rederi Royal Arctic Line har købt sit hidtil største skib i Kina. Allerede i 2005 var Grønlands daværende landsstyreformand i Kina. Siden har mange andre været afsted — og mærket styrkeforholdet. Da Grønlands udenrigsansvarlige Vittus Qujaukitsoq i 2016 var i Asien og ville til et Grønlands-arrangement i Taiwan, blev han hurtigt belært af Beijing om Kinas one-China-politik. Taiwan-besøget måtte afblæses. Det dæmpede dog ikke entusiasmen. I 2017 turnerede den nuværende formand for Naalakkersuisut, Kim Kielsen, i Kina med et entourage på 24 — det tætteste Grønland kommer på at aflægge et egentligt statsbesøg. Her efterlyste Kim Kielsen bl.a. investorer til lufthavnene, godt hjulpet af den danske ambassade i Beijing. Den danske regering skal håndtere mindst fire hensyn: Frygten for at Kina får for stor indflydelse i Grønland, frygten for at forstyrre Danmarks egne interesser i Kina, behovet for ikke at støde Grønland fra sig og endelig behovet for at bevare det gode samarbejde med USA i Grønland, herunder især om USAs missilvarslingsanlæg i Thule. Danmark har energisk bistået Kina med at blive fast observatør i Arktisk Råd, og regeringen velsigner rutinemæssigt kinesiske besøg i Grønland. Men statsminister Lars Løkke Rasmussen forhindrede i 2016 også, at mineselskabet General Nice fik lejlighed til at købe den nedlagte danske flådestation ved Grønnedal i Sydgrønland. Forsvaret opfandt i al hast nye behov for de frønnede barakker, og pludselig var stationen ikke længere til salg. Danmarks balanceakt er ikke altid lige elegant: Reuters citerede i sidste uge en unavngiven dansk embedsmand for at sige at “Kina har intet at gøre i Grønland” — et udsagn udenrigsminister Anders Samuelsen straks dementerede, så det kunne høres helt i Beijing. Forvirringen fik i januar en af Danmarks førende Kina-forskere, Camilla Sørensen fra Forsvarsakademiet, til at opfordre til bedre koordinering og “intensiveret dialog mellem Danmark og Grønland om en langt mere proaktiv håndtering af Kinas stigende rolle og tilstedeværelse i Arktis.” De kinesiske aktører er selv hyper-bevidste om den bekymring, de afstedkommer, men de er også stadig mere åbne om deres interesser. En af de centrale aktører, strategichef ved Polar Research Institute of China, Zhang Xia, ærgrede sig 1. marts i den partitro avis Global Times utilsløret over, hvordan Danmark stiller sig i vejen for Kinas greb i Grønlands undergrund: “For Grønlands Selvstyre-regering vil udvindingen af de arktiske mineral øge befolkningens indkomst og reducere den økonomiske afhængighed af Danmark,” skrev han. “Men regeringen i Danmark mener, at Grønlands ønske om at udnytte ressourcerne vil øge Grønlands selvstændighed og fremme trangen til løsrivelse, hvilket ville medføre en alvorlig udfordring for Danmarks suverænitet og territoriale integritet. Selvom udviklingen af ressourcerne i Arktis er et økonomisk spørgsmål, påvirker strategiske overvejelser således beslægtede politikområder.” De første folk fra CCCC og de fem andre selskaber — to danske, et dansk-islandsk, et hollandsk og et canadisk — der kan byde på lufthavnene, ventes ifølge Kalaallit Airports på besigtigelse i Grønland inden for en måned. Artiklen bygger på min bog ‘ Hvis Grønland river sig løs – en rejse i kongerigets sprækker’, der udkommer i dag – 3. april. Den indeholder en regulær nyhed: At topdiplomaten Peter Taksøe-Jensen nu anbefaler, en opløsning af rigsfællesskabet som vi kender det – og at Forsvarsakademiets chef, Nils Wang, er enig med ham. Det lyder herligt paradoksalt: To af landets mest overbeviste fortalere for Danmarks fortsatte sammenhæng med Grønland argumenterer nu for en opløsning — eller afløsning — af rigsfællesskabet med Grønland som den måske stærkeste sikring af vores sammenhæng med den gamle koloni. De to har taget bestik af den vedholdende løsrivelsestrang i Grønland og foreslår nu et historisk nybrud. De taler om opløsning af rigsfællesskabet, som vi kender det, men en opløsning, der arrangeres sådan, at et fremtidigt, uafhængigt Grønland straks bindes sammen med Danmark enten i en føderation, med en ny traktat eller på anden, semi-permanent vis. De to hører til statsmagtens absolutte sværvægtere. Fra diplomatiets øverste hylde taler Danmarks ambassadør i New Delhi, Peter Taksøe-Jensen, tidligere vicegeneralsekretær i FN og ambassadør i Washington gennem fem år. Det var ham, der i 2016 på statsminister Lars Løkke Rasmussens opfordring forfattede et meget omtalt nyt bud på en ny udenrigs- og sikkerhedspolitik, den såkaldte Taksøe-rapport. Fra forsvaret taler kontreadmiral Nils Wang, siden 2010 chef for Forsvarsakademiet, tidligere chef for Søværnets Operative Kommando og hyppig rådgiver for regering og Folketing. De optræder begge i en ny bog om rigsfællesskabet Hvis Grønland river sig løs, der udkommer på tirsdag. Her anbefaler Peter Taksøe-Jensen et kursskifte i forholdet til Grønland og Færøerne, der rækker langt videre end hans anbefalinger fra 2016. Han foreslår, at Danmark bistår Grønland og Færøerne med at blive uafhængige nationer, hvis de en dag virkelig ønsker det: »De kunne være selvstændige, men i en føderation med os,« siger han. Efterfølgende har Socialdemokratiets grundlovsordfører, Nick Hækkerup uddybet: “Vi ønsker bestemt ikke rigsfællesskabet opløst, men vi åbner op for, at der ad åre – altså ikke i dag eller i morgen – kan blive ændret for den ramme, som rigsfællesskabet udgør,” siger han til Ritzau. »Danmark er sammen med Grønland og rigsfællesskabet en arktisk stormagt. Vi skal bruge endnu flere kræfter på at sikre, at udviklingen i Arktis kommer til at stemme overens med danske interesser,« skrev han. I Grønland tager politikerne stadig flere skridt mod uafhængigheden — selvom de er rivende uenige om tidshorisonten. En ny kommission arbejder på Grønlands egen forfatning, og Naalakkersuisut, det grønlandske landsstyre, udpegede i 2016 Grønlands første Selvstændighedsminister. Peter Taksøe-Jensen søger en måde at fastholde et dansk-grønlandsk fællesskab på lang sigt: »Grønland har i kraft af sin størrelse og beliggenhed stor strategisk betydning for kongeriget, som er verdens tolvtestørste og NATO’s tredjestørste landområde efter Canada og USA,« skrev han i 2016. »Jeg tror på, at Danmark og Grønland er stærkere sammen, end vi er hver for sig,« siger han. Hans nye forslag bygger bl.a. på erindringen om de kuldsejlede forhandlinger, færingerne førte med SR-regeringen i 2000 om øernes løsrivelse. »Vi var ikke i stand til på noget tidspunkt at sætte en dagsorden, som for alvor kom dem proaktivt i møde,« siger han. »Et af problemerne er, at jo mere vi taler om en mulig opløsning af rigsfællesskabet, som vi gør i dag, jo mere får omverdenen opfattelsen af, at der er et brud på vej inden for en ganske kort årrække. Dermed begynder omverdenen at agere, som om et brud er en realitet. Det kan medføre, at løsrivelse bliver en selvopfyldende profeti, drevet af urealistiske forventninger til fremtiden. Og det ville være rigtig trist,« siger han i den nye bog. Ikke mindst Kinas indtog i Grønland er med til at nære sådanne bekymringer i statsapparatet. Forsvarets Efterretningstjenestes skrev i 2017 om risikoen ved øget kinesisk tilstedeværelse i Grønland, mens Nuuk til gengæld arbejder hårdt på at skaffe flere kinesiske investorer. Kinesiske selskaber har købt sig ind i de mest fremskredne mineprojekter i Grønland; der sælges stadig flere fisk og rejer til Kina, og formanden for Naalakkersuisut, Kim Kielsen, var i 2017 i Kina med et entourage på mere end 20 mand. I 2014 udgav Forsvarsakademiet pamfletten Greenland and the New Arctic: Political and Security Implications of a Statebuilding Project. Sammen med en medforfatter anbefalede Nils Wang allerede da, at den islandske løsrivelse fra Danmark blev gjort til model for en tilsvarende, grønlandsk proces. Islændingene løsrev sig fra Danmark i 1918, men bad kongemagten i København om at tage hånd om Islands udenrigs- og sikkerhedspolitik i yderligere 25 år med mulighed for forlængelse. Først i 1944 kappedes de sidste bånd til Danmark. Frederik d. IX nåede forinden at give Dronning Margrethe det gode islandske mellemnavn Þórhildur i dåbsgave, men lige lidt hjalp det. »Man kunne sætte en tidshorisont, så man fik signaleret til omverdenen, at det her er altså ikke noget, der sker i morgen,« siger han. »Jeg har i de sidste godt 10 år beskæftiget mig indgående med arktisk sikkerhedspolitik med særlig fokus på rigsfællesskabets rolle i forhold til stormagter som Kina, USA og Rusland,« sagde han. I Grønland har den ny Forfatningskommission fået ordre på at skrive en køreplan for såkaldt free association mellem et fremtidigt uafhængigt Grønland og Danmark eller andre stater. Det er præcis den model, der gælder mellem Cook-øerne i Stillehavet og New Zealand, og som Peter Taksøe-Jensen taler om. Kim Kielsens landsstyre har bedt om køreplanen inden udgangen af 2020, hvor et udkast til Grønlands første forfatning ifølge denne optimistiske tidsplan også skal ligge klar. (Arbejdet er sat på pause frem mod valget i Grønland 24. april). Free association, hvor en større nation typisk påtager sig en række tungere opgaver for en meget mindre — forsvar, pengepolitik, udenrigspolitik m.v. — blev første gang diskuteret i dansk kontekst, da man frem mod 2009 designede den nuværende selvstyreordning mellem Danmark og Grønland. De grønlandske forhandlere sendte ligefrem en medarbejder på studietur til Cook-øerne. I sidste ende blev free association kun flygtigt nævnt i bemærkningerne til Lov om Grønlands Selvstyre, men ideen er altså ikke ukendt i statsapparatet. »Det er ikke noget, der vokser ud af mine overvejelser, at man skal søge en anden form for relation,« siger Lars Løkke Rasmussen. »Den måde, vi har udviklet rigsfællesskabet på, med den autonomi, der er skabt inden for rigsfællesskabets rammer og det forhold, at Grønland stadig har et antal endnu ikke hjemtagede opgaver, giver masser af muligheder for at udvikle Grønland inden for rigsfællesskabets rammer. Jeg udtrykker ingen ambition om forandring,« siger han. OULU, FINLAND: Hvis det lykkes, bliver det den korteste rute mellem Kina og hjertet af Europa, verden nogensinde har set. Og sagen bliver ikke kedeligere af, at den finske multimillioner bag mobilspillet Angry Birds spiller en afgørende rolle. I håbet om opkobling til Kinas kolossale Silkevejsprojekt har de norske og især de finske myndigheder pustet nyt liv i visionen om en arktisk korridor direkte fra Kina til Centraleuropa. Kinesiske skibe skal efter planen losse og laste i Kirkenes eller andet sted i Nordnorge på kanten af Det Arktiske Ocean og dermed spare tusinder af sømil i forhold til ruten gennem Suez-kanalen. I Nordnorge vil skibene laste gods fra Europa og sætte varer fra Asien på tog ned gennem Finland, gennem en tunnel til Estland og videre til Europas centrum. Peter Vesterbacka (th), manden bag Angry Birds, vil bygge verdens længste tunnel for kinesiske penge. Her med mig på besøg. To missing links — cirka 500 km skinner fra Det Arktiske Ocean til Finlands eksisterende skinnenet og en tunnel fra Finland til Estland — har hidtil afskrækket planlæggerne, men klimaforandringerne og forestillingen om kinesiske penge har tilført ny energi. Finlands transportminister Anne Berner er varm tilhæner af den arktiske forbindelse. Den 1. marts modtog hun det første studie af den mulige togforbindelse til Det Arktiske Ocean fra de regionale chefer i Nordnorge og Nordfinland, og en 9. marts holdt hun pressekonference i Helsinki om sagen. Her deltog også Finlands tidligere premierminister, Paavo Lipponen, og den norske transportminister, Ketil Solvik-Olsen, var med på videolink. Få dage forinden havde Berner med sin estiske kollega offentliggjort et nyt, EU-finansieret studie af mulighederne for en tunnel fra Helsinki til Tallinn, Estlands hovedstad på den anden side af Den Finske Bugt. Finland anser allerede sig selv for den europæiske flytrafiks gateway til Asien. Helsinki Lufthavn ligger tættere på Kina end nogen anden i EU med kun syv en halv times flyvetid til Beijing, og Finnair har netop åbnet sin syvende rute til Kina. En arktisk fragtkorridor vil yderligere binde Finland til Kina, præcis som et nyt high-speed bredbåndskabel fra Finland til Asien i havet langs Ruslands nordkyst. IT-selskabet Cinia, der er 77,5 procent ejet af den finske stat, søger i øjeblikket kinesisk og anden finansiering til IT-kablet, der skal nedbringe transfertiden for fremtidens 5G-datastrømme mellem Europa og Asien, og den finske regering fungerer, ifølge Risto Murto fra transportministeriet, som projektets diplomatiske formidler. Intet er nemt: Af sikkerhedsmæssige årsager skal der føres ikke ét, men to kabler, det andet russisk, så alle kan være sikre på ubrudt data-flow, men finnere er vant til at forhandle med Rusland. Ambitionerne er omfattende. Selv fra toppen af det 40 meter høje pariserhjul ved havnen i Helsinki kan jeg ikke se til Tallinn. Det er 15 frostgrader, høj sol, luften er skarp som glas, men Den Finske Bugt er mere en 80 km bred, og den tunnel, der skal bygges med kinesiske penge, bliver i givet fald verdens længste. Flere end 23.000 mennesker rejser dagligt mellem Helsinki og Tallinn. Helsinkis havn er ifølge finske opgørelser den travleste passagerhavn i verden, og de første tegninger til en fast forbindelse fra Helsinki til Tallinn er fra 1800-tallet. Både regeringen og det finske erhvervsliv ser nu en tunnel som et naturligt hop ind i fremtiden — uanset at anlægsprisen anslås til mere end 15 milliarder Euro. Regeringen i Helsinki har ikke formelt skrinlagt tanken om et delvist EU-finansieret, regeringsbåret tunnelprojekt, hvor skatteborgerne hænger på ansvaret, men et sådant vil have lange udsigter, og som Risto Murto fra transportministeriet siger: »Der kan ikke være to konkurrerende tunnelprojekter.« Regeringen synes i stedet tilbøjelig til at overlade initiativet til et privat konsortium, der i et par år har forfulgt visionen med høj cigarføring. »Jeg regner med, at kinesiske investorer vil dække to tredjedele af omkostningerne, mens nordeuropæiske pensionskasser formentlig vil klare det meste af resten«, siger han. Vi mødes på hans spartanske kontor i We+, et kinesisk-ejet share-space kontorkompleks for funky start-ups i en nedlagt kabelfabrik på Helsinkis havnefront. Peter Vesterbacka optræder konsekvent i sweatshirt med Angry Bird-motiv, han pendler til Kina flere gange om måneden og er i færd med at lære sig mandarin. Peter Vesterbacka hævder, at hans kontakter blandt kinesiske investorer øjner en god forretning, især fordi Tallinn-tunnelen kombineres med massive bolig- og erhvervsbyggerier, ikke mindst på en kunstig ø i Den Finske Bugt, hvor tunnelen skal trække luft. Planen lyder på to parallelle, men adskilte tunneller, én til tog i begge retninger og én til anden trafik, hver af dem 17 meter i diameter. Den kunstige ø vil være én kvadratkilometer stor og opført af udskrab fra tunnelbyggeriet, bilfri, øko-venlig, fyldt med skyskrabere, boliger og arbejdspladser til 50.000 mennesker. »Vi sigter på de organisationer, der i forvejen deltager i finansieringen af the Belt- and Road Initiative,« siger han. »I Kasakhstan opfører de infrastruktur for 50 milliarder euro som led i processen«. Skeptikerne hævder, at Kinas præsident Xi Jinping med sit Belt and Road Initiative meget bevidst arbejder på at erstatte USAs globale dominans med en langt mere sino-centrisk verdensorden. Andre ser initiativet som ét stort, venligtsindet byggeprojekt. Diskussionen er også relevant her i landet: China Railway Group Ltd., en af verdens største bane-entreprenører, var i efteråret 2017 tre gange i Helsingborg for at se på en tunnel mellem Danmark og Sverige. Den finske formand for det internationale Arctic Business Council, Tero Vauraste, der optrådte i Udenrigsministeriet i København i december, anbefalede i den grønlandske avis Sermitsiaq for en uge siden, at hele Arktis omfavner Kina, herunder Kinas interesse for den nye, finske korridor: »Vi skal ikke opfatte Kina som en fjende, men som en investor som alle andre,« siger han. Peter Vesterbacka i Helsinki er enig: »Verdens fokusskift til Asien sker superhurtigt lige nu. Det er der, væksten finder sted, og Finland ligger perfekt til at tage del i den,« siger han. Han nærer ingen bekymring for, at Kina vil misbruge sin indflydelse på Tallinn-tunnelen, et vitalt stykke infrastruktur, til politiske formål: »Næh, hvorfor skulle de det? Hør nu her: Vi start-up’ere er ikke så bekymrede for, om verden går under i morgen. Og hvis den gør, så må vi jo forholde os til det,« siger han. Andre hævder, at de finske ledere nu udgrænser kritik af undertrykkelsen i Kina. Da syv EU-lande, herunder Finlands naboer Sverige og Estland, sidste år valgte at protestere over Kinas repressive adfærd over for menneskerets-advokater, stod Finland uden for. Den finske parlamentsformand, der besøgte Kina i 2015, nægtede også at diskutere undertrykkelsen i Kina med sine værter. I provinshovedstaden Oulu på kanten af Den Botniske Bugt er temperaturen faldet til minus 26, men fornøjelsen ved udsigten til en ny arktisk forbindelseslinje til Kina fejler ikke noget: »Det er ekstremt interessant for os. Det vil bringe mængder af trafik i vores retning og nye muligheder for eksport til Asien. Finland vil indtage en helt ny rolle mellem Asien og Europa,« siger Pauliina Pikkujamsa fra BusinessOulu, en lokal erhvervsorganisation. Nordfinland myldrer med rensdyr og falske julemænd, men det er også her, at 2000 ingeniører bemander Nokias højteknologiske udviklingscenter, verdens første testanlæg for førerløse skibe er åbnet i Den Botniske Bugt, og videre mod nord produceres specialstål af finsk jernmalm, papir og papirmasse af træ fra de finske skove. Kinas import af finsk papir og teknologi rækker langt tilbage. Kinas Sunshine Kaidi New Energy Group vil investere stort i nye anlæg til biobrændsel her, og mineselskaberne i Nordfinland udvinder råstoffer, der vil have Kinas varme interesse: guld, kobber, lithium, uran, kobolt, zink, nikkel m.m. Skeptikerne fastholder, at de manglende 500 km jernbane til Det Arktiske Ocean næppe bliver bygget snart. Men Peter Vesterbacka antager, at Norge vil pumpe oliepenge i banen; andre taler om kinesiske penge, Norges transportminister har vist interesse, den norske kongefamilie besøgte Oulu sidste år og talte om arktisk samarbejde. Men Risto Murto fra transportministeriet i Helsinki fastholder, at anlægsarbejder tidligst skal ventes i 2030. »Fremdriften afhænger af klimaforandringerne, og væksten i den internationale cargo-trafik på den nye sejlrute nord om Rusland er vanskelig at spå om,« siger han. Det politiske tryk vil dog næppe ophøre. Kina er allerede Finlands næststørste handelspartner uden for EU – kun overgået af Rusland. Præsident Xi Jinping tilbragte to dage i Finland i april 2017; hans eneste stop-over på vej til samtaler med den nyindsatte Donald Trump i USA. To pandaer udlånt af Kina er netop udsat i Helsinkis zoo som del af Kinas panda-diplomati. De 3000 kinesere, der studerer på Finlands universiteter, gør Kina til den næststørste leverandør af nyt ungt talent efter Rusland, det kinesiske nytår fejres hvert år med en festival i Helsinki – og så videre. Som Tero Vauraste fra Arctic Business Council siger til den grønlandske avis Sermitsiaq: »Kina er en vigtig spiller i det pan-arktiske område, og vi vil se Kina engageret og involveret i mange projekter og sammenhænge fremover. Det kan vi ikke undgå – og forresten heller ikke undvære«. Ikke siden Knud Rasmussen har en forfatter fået så mange danskere til at fundere over forholdet til Grønland, som Kim Leine – og hans ny roman rød mand / sort mand’s rå billede af danske kolonisters fordrukne og liderlige kaos i Grønland springer direkte ind i det politiske: Hvis det var så slemt, så bør Grønland vel snart løsrive sig? Kim Leine ved godt, at han næppe slipper for denne diskussion, selvom han bestemt ikke ønsker den. Han vægrer allerede for sig i et efterskrift til rød mand / sort mand: “Man bør ikke læse den som pålidelige historisk skildring. Det er den ikke,” skriver han. “Skønlitterære forfattere og historikere kan noget hver for sig. Det er magikeren versus magisteren. Vi bør ikke begive os ind på “fjendens” banehalvdel (…) Så lad historikere skrive historie, og lad forfattere skrive historier. Jeg beskæftiger mig med det sidste”. Men efter læsning af rød mand / sort mand vil en del historikere, politikere og almindelige læsere sikkert igen spekulere over, om Kim Leine har sat sig et politisk mål med sin banebrydende litteratur om det dansk-grønlandske. Kim Leine har tidligere anbefalet, at Grønland bør løsrive sig så hurtigt som muligt, så det er ikke urimeligt, hvis andre spørger sig selv, om han har en skjult, personlig dagsorden, der skal stille læseren mere forstående overfor det grønlandske ønske om opgør og selvstændighed. Er hans storslåede romantrilogi, som nu er nået til andet galopperende bind, om som allerede høster fine anmeldelser, et ønske om at slæbe den danske kolonimagt gennem dens eget stinkende søle, så vores sympati for altid placeres hos grønlænderen? Eller er der slet og ret tale om uovertruffen litteratur? Endnu et forunderligt mesterværk fra Leines magiske skriverum, der alene må vurderes på sine egne, kunstneriske præmisser fjernt fra politiske spalter som denne? Diskussionen om bogen, der udkommer i dag, fletter sig direkte ind i den aktuelle politiske debat. Kampen om Grønlands historie er afgørende for fremtidens dansk-grønlandske forhold og derfor for rigsfællesskabets fremtid. Hvis kolonimagten vitterligt var så rivende inkompetent, liderlig og småracistisk, som Kim Leine beskriver, er der så ikke al mulig grund til at støtte de aktuelle, grønlandske ønsker om politisk opgør og forandring? Og omvendt: Hvis kolonitiden var blid og god, er der så overhovedet ræson i de grønlandske lederes tanker om at skifte dansk ud med engelsk i Grønlands folkeskoler, erstatte de mange danske chefer i Selvstyret og i sidste ende løsrive Grønland fra Danmark? Hvis Grønland aldrig har været en rigtig koloni, sådan som nogle mener, så er der vel heller ikke grund til de dybtgående opgør med fortiden og løsrivelsen, som mange i Grønland arbejder på? Kim Leine vil ikke påduttes et tungt ansvar for, om hans fortælling er pinligt korrekt i historikernes forstand. Og som for på forhånd at mindske trykket, har han sikret sig hjælp til fakta-check af romanen fra en af landets mest anerkendte kendere af Grønlands fortid, arkæologen, forskningsprofessor emeritus Hans Christian Gulløv. Kim Leine har formentlig husket på den fejde han måtte igennem, da Profeterne i Evighedsfjorden udkom; det var første bind i trilogien. Den satte straks fuld knald på et bredere opgør om Grønlands historie og om Danmarks skyld eller mangel på samme. Historikeren Thorkild Kjærgaard og andre hæftede sig ikke blot ved en række faktuelle fejl (et stetoskop optræder før det blev opfundet; en trykmaskine finder vej til Grønland før tid osv.) — tekniske fejl, som Kim Leine straks anerkendte. Nej, Kjærgaard, der underviste ved universitetet i Nuuk i 13 år frem til 2015, beskyldte Kim Leine for at fordreje selve virkeligheden; bl.a. kritiserede han, at Kim Leine i Profeterne lader grønlændere udsætte for tvangsomvendelse og brutale straffe — pisk, afklipning af hår, våbenbårne trusler om arrestation m.v. Straffe som ifølge Thorkild Kjærgaard lå ganske uden for virkelighedens datidige register. Mens Profeterne i Evighedsfjorden blev modtaget med anmeldernes jubel og stor prisregn (Nordisk Råds Litteraturpris, De Gyldne Laurbær, DR’s, Weekendavisens og Politikens priser) beskrev Thorkild Kjærgaard bogen som postkolonialt propagandistik bragesnak. Og for at forstå de politiske implikationer skal man bemærke, at Thorkild Kjærgaard ligesom Kim Leine har stærke meninger om Grønlands nutid og fremtid og selv gerne deltager i den offentlige debat. Senest har han foreslået, at Danmark suspenderer Grønlands selvstyre og genovertager magten i Grønland i årrække. Da det grønlandske Selvstyre i 2014 oprettede en kommission til kulegravning af den koloniale arv, mente Thorkild Kjærgaard, at det var “grønlandsk folkekomedie”. Han mener ikke, at Grønland var en koloni i klassisk forstand, og det synspunkt har betragtelig medvind. Det Grønlandske Selskab har 8. marts afsat en hel debataften netop til det spørgsmål med Kjærgaard som hovedattraktion. Betydning af Kim Leines bøger kan vanskeligt overdrives. Kun få — om nogen — har siden Knud Rasmussen fået danskere til at læse så meget om sammenhængen med Grønland. Vi taler om titusindvis af danskere, der vellystigt sluger 500 sider om Grønland – plus titusinder i andre lande. End ikke fjernsynet kan hamle op med Leines fortællekraft. Og som Profeterne i Evighedsfjorden tegner også rød mand / sort mand et stærkt kritisk billede af de dansk-norske købmænd og missionærer, der med lutheraneren Hans Egede, hans kone Gertrud Rask og deres fire børn i spidsen indledte virket i Grønland i 1721. Som enkeltpersoner kan flere af karaktererne i romanen virke tilforladelige. Men den almindelige læser vil formentlig som jeg opleve romanens flok af guvernører, købmænd og missionærer som langt hen ad vejen inkompetente, forskrækkeligt dårligt udrustede mentalt og logistisk, nedladende, brutale og ukristelige i deres liderlighed og uhyrlige drukkenskab. Hans Egede, hovedpersonen både i romanen og i Grønlands-missionens historie, får stadig flere nuancer, men tilbage står, at han i romanen tager en syg grønlandsk dreng til sig, nægter at aflevere ham til faren igen, og så det, som ikke kan skrives her, uden at det røber for meget af handlingen. Kim Leines fiktive billede af datidens norsk-danske indsats ligger langt fra det billede af Danmarks engagement i Grønland, skolebørn i Danmark som oftest stifter bekendtskab med – hvis de da overhovedet hører om Grønland. Det er kolonihistorie, som vi aldrig før har fået den serveret. Dette indlæg optrådte i redigeret format i Information 2. marts. Kinas hastige indtog i Arktis kræver “langt mere proaktiv håndtering”, lyder det i ny analyse fra Forsvarsakademiet. Danmark og Grønland står splittede i en grad, der gør det svært at møde udfordringen fra Kina i Arktis på forsvarlig vis. De interne stridigheder i rigsfællesskabet svækker kongeriget netop, hvor Kinas ekspanderer i Arktis uden tidligere tiders tilbageholdenhed. Alle de arktiske nationer kæmper med dette dilemma. Et grelt eksempel opstod i Lysekil på Sveriges vestkyst for nylig. Et kinesisk konsortium, Sunbase International, med base i Hong Kong, henvendte sig i november 2017 til Lysekil kommune. Konsortiet tilbød at bygge Skandinaviens største dybvandshavn. Tilbuddet blev ifølge de svenske medier først holdt hemmeligt; kommunens topfolk var stærkt fristede. I Sverige som i Danmark kan lokale myndigheder frit forhandle aftaler med udlandet, og en deal kom tæt. De kinesiske forhandlere insisterede på en beslutning på bare 14 dage. Forhandlingerne med Lysekil er nu afblæst, og en debat om øget kontrol med investeringer udefra ruller i Sverige. Kinas kommercielle engagement i Grønland gælder i øjeblikket især to potentielle miner i hhv. Nord- og Sydgrønland, der ejes af andre, men hvor kinesisk kapital og knowhow ventes at blive bærende, såfremt projekterne realiseres. Kina har også signaleret ønske om at opføre en forskningsstation i Grønland, der i givet fald bliver den største i landet. To kinesiske sproglærere tilknyttes fra i år for kinesiske penge ungdomsuddannelserne i Sydgrønland osv. Engagementet vil givetvis vokse. Grønland efterlyser intenst flere Kinas investeringer: Formanden for Naalakkersuisut, Grønlands Landsstyre, Kim Kielsen, var i 2017 i Kina med et følge på 24, og Kinas nu offentliggjorte arktiske strategi sandsynliggør, at Kina vil øge sit fokus på Grønland. Kina betegner sig selv som “nær-arktisk stat” — en nation med vældige arktiske ambitioner og penge til at realisere dem. Et indledende afsnit i den nye Arktis-strategi er særligt prægnant: “Den arktiske situation rækker nu videre end til dens oprindelige interstatslige arktiske og regionale natur, og den har livsvigtig indflydelse på interesser også for stater uden for regionen og for det internationale samfund som et hele, så vel som på menneskehedens overlevelse, udvikling og fælles fremtid”. Kina vil ikke torpedere den eksisterende orden i Arktis, men ubønhørligt forfølge sine interesser i Arktis ad alle lovlige kanaler. Kina har inkorporeret Arktis i sit kolossale Belt and Road Initiative, der skal knytte Kinas økonomi tættere til Sydøstasien, Centralasien og især Europa med massive investeringer i nye havne, veje, højhastighedstog, IT-kabler, kommunikation m.v. Kina interesser er velkendte: Nye forsyningsveje nord om Rusland kan sikre Kinas overlevelse, hvis der opstår krig i Det Sydkinesiske Hav. Klimaets kollaps i Arktis påvirker Kinas evne til at brødføde sin egen befolkning. Kina ønsker adgang til de kolossale ressourcer i Arktis: Olie, gas, mineraler, fisk, transportveje, videnskabelige data, undersøisk minedrift, arktiske enzymer osv. Kina er hovedinvestor i Ruslands gasudvinding på Yamal-halvøen i Sibirien: det største industriprojekt i Arktis; en rørledning lægges netop nu til Kina. Island har som det første land i Europa indgået frihandelsaftale med Kina. I det finske Lapland har kinesiske milliard-investeringer skabt et kæmpe biodiesel-anlæg og et bio-papirmasse-anlæg. Andre kinesiske penge fyrer op under turismen i Nordfinland. Og på den helt store klinge arbejder regeringen i Helsinki på at fæstne Finland til Kinas Belt and Road Initiative med en jernbane, the Arctic Corridor, der skal køre fra havnen i Kirkenes i Nordnorge ned gennem Finland og videre til Estland via en ny tunnel på 80 kilometer. Se på kortet: For første gang i historien vil kinesiske varer kunne rejse i fugleflugt tværs over Det Arktiske Ocean og videre ned gennem Finland direkte til Europas hjerte. Danmark og Grønland har ofte skændtes om Kinas potentielle rolle i Grønland. Grønland efterlyser investeringer; Danmark bekymrer sig over, om Kina vil opnå politisk indflydelse i Grønland — enten ved korruption eller ved indirekte, økonomisk pression. Danmark er optaget af USA’s sikkerhedsinteresser i Grønland og derfor ekstra sensitiv. Som tidligere omtalt i Information forhindrede statsminister Lars Løkke Rasmussen i 2016 selv, at et kinesisk mineselskab fik lov at opkøbe en udtjent, dansk flådebase i Sydgrønland — de nedslidte barakker var pludselig ikke til salg alligevel.